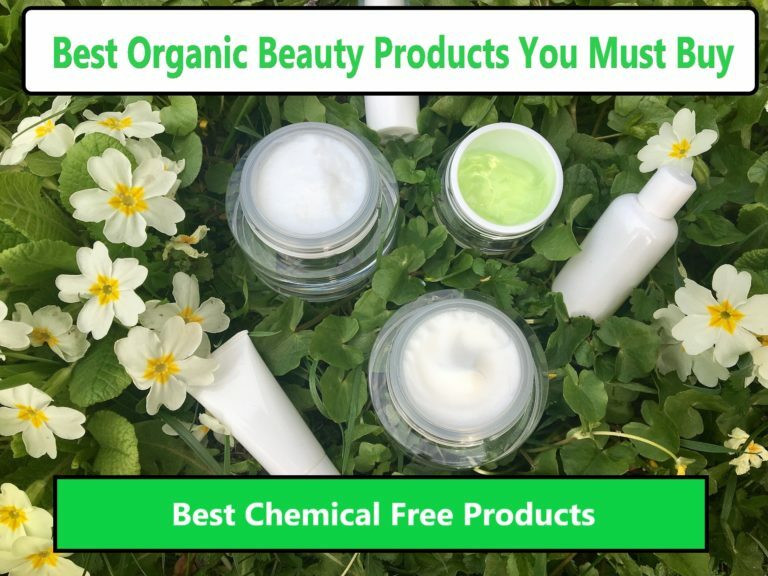 If you have been suffering from gas trouble and are seeking some natural methods that can ease it up for you, this is the right place. Here you will find simple yet effective age old Indian home remedies to relieve gas. These natural herbs, roots and fruits are readily available to you in your kitchen and are amazingly effective. By regular use of home remedies you will find a notable improvement in your gas trouble. Gas trouble or flatulence is not a disease in itself but is a health condition which can be caused as a result of some diseases and disorders. Formation of gas in the stomach is very common and a natural process but when the gas gets trapped in excess it results in discomfort, flatus and bloating. Its not just discomfort but excessive gas can be embarrassing and painful too taming this problem is necessary.Using home remedies for gas relief is common in Indian society and is an age old practice in Asian countries, there are several herbal and Ayurvedic treatments for stomach gas that can deliver desired results by giving some relief from gas. Bad breath, Coated tongue, Lack of appetite, abdominal bloating, abdominal belching, flatulence etc. 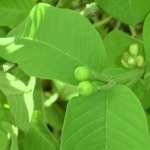 In IndiaTurmeric is used in several herbal and Ayurvedic formulations due to its medical virtues, using it for gas problem is relatively uncommon though. But having known the fact that Turmeric is highly valuable in maintaining good digestive and Liver health it can be incorporated in Rice, Vegetable stew and in many other recipes to reduce gas and bloating. 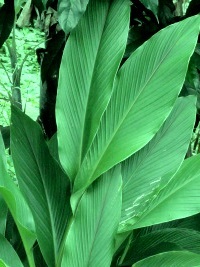 Drinking Chopped turmeric leaves with a cup of milk is one of the effective home remedies for gas and can be given a try. To aid flatulence : Make tea by boiling Guava leaves in water, consume this 3 times daily to relieve gas you can also add rock salt aka sendha namak in Hindi to make the infusion more effective. If you can get fresh young leaves of Guava, nothing like it otherwise just go to any herbal store and grab yourself some dried guava leaves to make your infusion. Steep mint leaves in hot water and drink it like tea, mint has muscle relaxing properties which will reduce the intestinal pressure. Chewing mint leaves is also beneficial in relieving stomach gas. 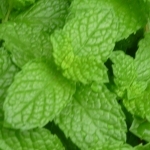 For Instant relief from gas take 1 tsp of fresh mint juice. To get the juice take a few fresh mint leaves and crush them to extract the juice which will be dark green in color. Mint is very common used herb to ease gas, they are available in many forms in market, The most popular form being the Indian Pudin Hara juice and Pudin Hara tablets. Raw Potato juice has anti acidic properties and is a lesser known remedy for stomach gas. Potato juice stimulates stomach function and thus aids in alleviating digestive disorders. Drink half a cup of potato juice diluted in water, an hour before meals. This can be done thrice a day or before every heavy meal. For this remedy you must always use a raw potato, to take out the juice grate raw potatoes and squeeze out the juice. This juice may not be very soothing to your palate, to make it palatable mix it with carrot or radish juice. Alternatively mix ginger powder with a pinch of rock salt, a pinch of asafoetida and a cup of water, drink it. Drink ginger tea after meals, it will promote proper digestion, you can also add a pinch of asafoetida (Hing) for quick relief. 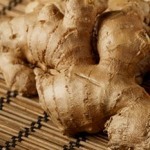 Ginger Water / Tea is very effective and easy home remedy for gas pain. For instant relief from stomach gas trouble drink baking soda with water. Take 1/4 teaspoon of baking soda (not baking powder) and stir it in 1 glass of water. This is one of the conventional way for treating gastric trouble as well as for indigestion and it is widely used as an effective antacid. Asafoetida ( hing in hindi ) can also be used as a natural cure for gas trouble. Take a glass of warm water add a pinch of Asafoetida in it. Mix well and drink it. You can also make a churna (powder) by dry roasting asafoetida and black pepper. Now crush these ingredients in mortar and pestle to form a powder. Add rock salt, mix well and store in an air tight container. Mix 1 teaspoon of this powder in 1 full glass of warm water, and drink it whenever you have stomach gas. Hing is wonderfully capable of relieving infant gas trouble, if the baby’s stomach feels bloated and the child is crying inconsolably, just crush a quarter teaspoon of Hing. Mix with water to make a paste and apply it around the infant’s navel. This will expel the gas and relieve the child. This is the great Indian home remedy for gas. You must have surely heard your mother of grandmother telling you “Ajwain phaank le” whenever you complained of gas and acidity. Ajwain or Carom seed is the Grand mother’s remedy for digestive discomfort in every Indian household. Just pop in a quarter tsp of Ajwain with a pinch of Rock Salt every-time you feel bloated or experience gas trouble. Apple cider vinegar has many health benefits and it is almost a “works every time remedy” for gas and indigestion,It is a cleanser and works instantly to relive gastric trouble and is a well known remedy for many digestive issues. Take a glass of warm water and mix 1 tbsp of Apple Cider Vinegar to it and sip it slowly to get immediate relive from gas. If you find the taste of Apple Cider Vinegar too strong to handle, you can mix a little amount of honey to it and alternatively can take Apple Cider Vinegar Tablets also. If you are on any medication you must first consult your Doctor before taking Apple Cider Vinegar. Make a cinnamon solution for gas relief by boiling cinnamon in water. Once boiled cool the cinnamon solution in room temperature and drink it. This aids in preventing further formation of stomach gas. Cinnamon is also a very good home remedy for weight loss. Brandy for gas relief : Mix two tsp. of brandy to a glass of warm water and drink it before going to bed. 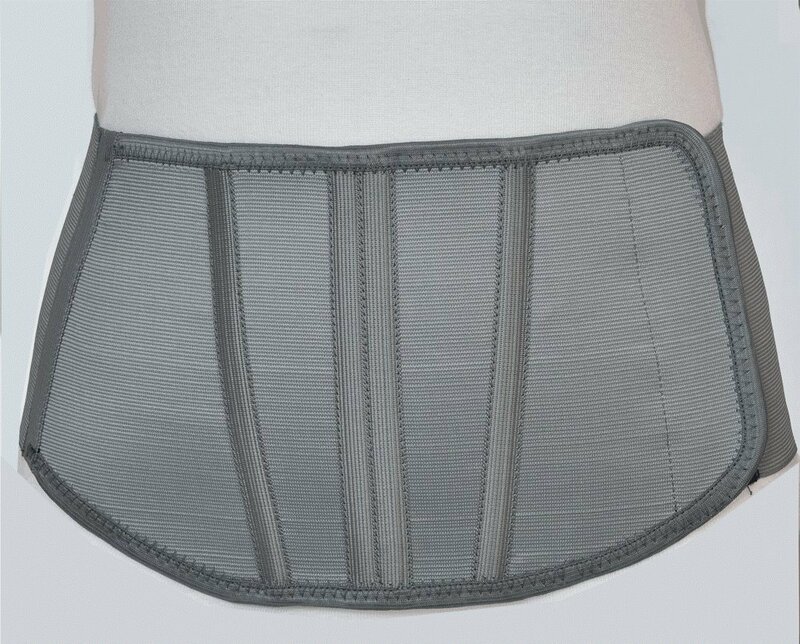 This helps in expelling the trapped gas and gives relief from gas pain. 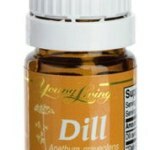 Dill (Anethum graveolens) oil for stomach gas trouble relief : Dill essential oil is extracted from seeds, leaves and stem of a Dill plant which is a herb. It removes the gas and prevents further gas from forming. Dill seeds aids digestion by stimulating the secretion of gastric juices. Take one tsp. of honey and add a drop of Dill oil to it. Consume it after every meal. This provide relief from gas trouble. Please note Dill oil is not recommended for pregnant women. 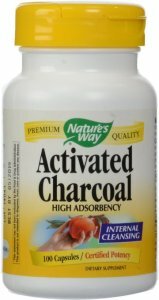 Food Grade Activated Charcoal has an ability to attract toxins, it can adsorb the gases trapped in gastrointestinal tract and can be taken in form of tablets,capsules and powder . Taking one charcoal tablet after meal or immediately on the onset stomach discomfort is really helpful in subsiding gas and acidity. Charcoal attracts the excess gas from the intestine and prevents those rotten egg like farts. Warning : Charcoal tablet should not be consumed by children under 12 years of age. You must not take charcoal if you are already on medication for some disease. Never take charcoal along with any other medicine. Always consult a healthcare provider before taking activated charcoal treatment for gastric and indigestion problems. Don’t eat food hastily, chew your food properly. Chewing helps the food to breakdown and digest fast. Don’t go to sleep immediately after eating. Slice tomatoes and sprinkle black salt, add finely chopped mint and eat this salad. 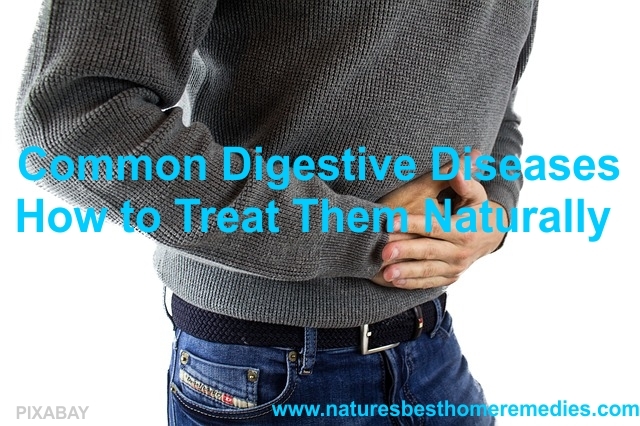 These are some of the most effective HOME TREATMENT FOR STOMACH GAS TROUBLE . 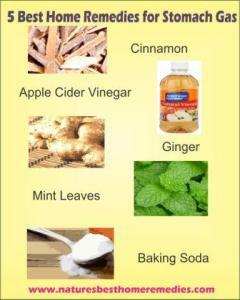 Please dont forget to share your home remedies in the comment section.